In semester two, 2015, AMPed held its inaugural Careers Month. Across the month members were invited to attend progressive workshops designed to help them become the perfect candidate for internship and graduate positions. A decent resume is an essential foundation for success when applying for jobs. 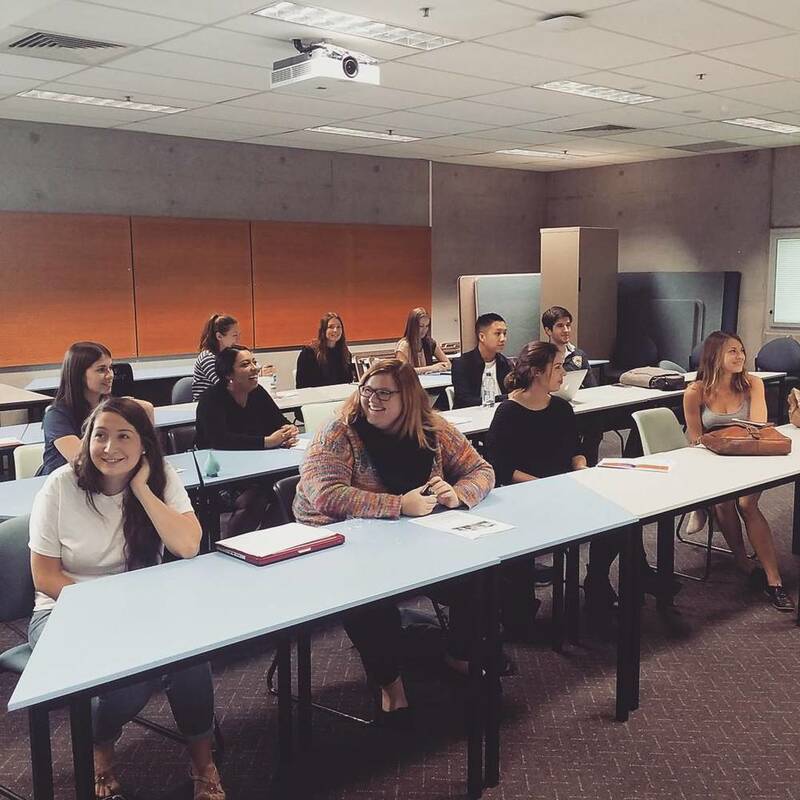 In our Phase One workshop, QUT Careers and Employment Officer Troy Dobinson took us through the do’s and do not's of resume building, plus how to create an eye catching but equally a professional resume. Troy taught us not underestimate our prior experience – the skills gained in former jobs are valuable. For example, a person working in hospitality may have no direct experience in marketing, however they constantly use communication, customer service and teamwork skills which are all highly valuable in the industry. Technology has afforded us a unique opportunity to stand out from the crowd – we have the ability to show our ‘how’ and ‘why’ in the form of a digital portfolio. Through LinkedIn we can communicate directly to employers through an established profile. As aspiring communications professionals this is particularly important, because if you can’t sell yourself who would trust you to sell their goods! It’s the trap many students fall into, how do we get experience without any experience? Martin Evans from QUT’s Real World Placement Program (RWPP) and Ingrid Larkin from QUT’s School of AMPR shared their solutions in our Phase Three workshop. Ingrid's Solution: Internships! In the elective unit AMB310 Real World Internship and Projects students gain work experience whilst gaining credit towards their degree. The QUT Business School readily helps students source a placement with their many industry partners. At this stage we had the experience and our resume and branding has landed us an interview, now what? Troy Dobinson from QUT Careers and Employment helped uncover the biggest interviewing myths and tips. He shared that many recruiters make their decision within the first 10 seconds, meaning your facial expressions, the way you walk, dress, and shake hands are crucial determinants . With the networking event soon approaching, Troy from QUT Careers and Employment joined us once again to ensure we networked like a pro. We polished up our elevator pitches and learnt how to juggle our drink and food while still being able to shake hands. We also learnt how to meet people from industry, but to make meeting them worthwhile following up is essential! The timing of this workshop was perfect, with our 2015 Networking Night only days later. The workshops we ran throughout Careers Month were tailored for AMPed members and the AMPR and IB industries. If you missed out, QUT Careers and Employment regularly run similar workshops for all QUT students. To find out more, check out their website.